Home > 2018 Elections > What Color is Arizona? Arizona politics are deep in the red, or so we are led to believe. The last presidential candidate to win Arizona was Bill Clinton in 1996. That is 22 years ago. The last time Arizona sent a Democratic senator to Washington D.C. was 1976. That was 42 years ago. It is easy to see how Republicans thought this was a state totally in their control. Why would a Democrat even try to win in this state? During the 2016 General Election, Donald Trump predictably won Arizona. What was not so predictable was the margin of victory. Mitt Romney had earlier won the state by 12 percentage points while Trump only won by 6%. So the voters of Arizona did not turn out for Trump like they did for Romney, or did they? In November of 2016, the presidential race in Arizona revealed more than just a slimmer margin of victory for Trump. Maricopa County, the most populous in Arizona and home to the capital Phoenix, elected four Democrats to office in municipal elections, two of which were flipped as Republicans were defeated. Most notable was the ousting of controversial Trump sycophant and former County Sheriff, Joe Arpaio, long criticized as a racist. The winds of change was coming to Arizona politics and this was ignored by national media. They missed the boat. The County Recorder of Maricopa County is the other major seat Democrats flipped. This was due in part to a larger voter turnout within the Hispanic community, a quietly growing political force in the state. This was proved significant since Hispanics represent 30% of the registered voters in Maricopa County. There was a seismic event building in the electorate, waiting to be unleashed. Arizona politics was turning away from its GOP roots and this went totally unnoticed by the media as well as party leadership. This was a harbinger of things to come in 2018. Trends were shifting at the local level among voters, signaling a resistance to Republicans’ death grip on the politics in the state, a movement which would become a referendum just two years later. News programs continued to tout Arizona politics as a bastion of conservative votes, a given that the state would always be deeply red. This might be due to the fact that Arizona is controlled by a Republican Governor, State House of Representatives and State Senate chambers. No one bothered to check with the voters. Nationwide elections were held in 2018 for midterms. In Arizona, the swell that began in 2016 showed the power of the people is stronger than the people in power. While Republicans held the trifecta of Governor and both Houses of state government, there was a shift. Arizona’s Washington representation reflects a totally different outlook by its voters. The majority held Republican House of Representative seats were flipped to Democrats. Yes, the Democrats hold five of the nine congressional seats for the majority. In another statewide election. Democrats also claimed the seat of Superintendent of Public Instruction. The U.S. Senate saw Arizona send a Democrat to Washington for the first time since 1976. It took forty two years, now there is equal representation from Arizona in the U.S. Senate. It was also the first time the state elected a woman to the office. The 2018 election in Arizona said it is not a red state, but purple — and trending blue. 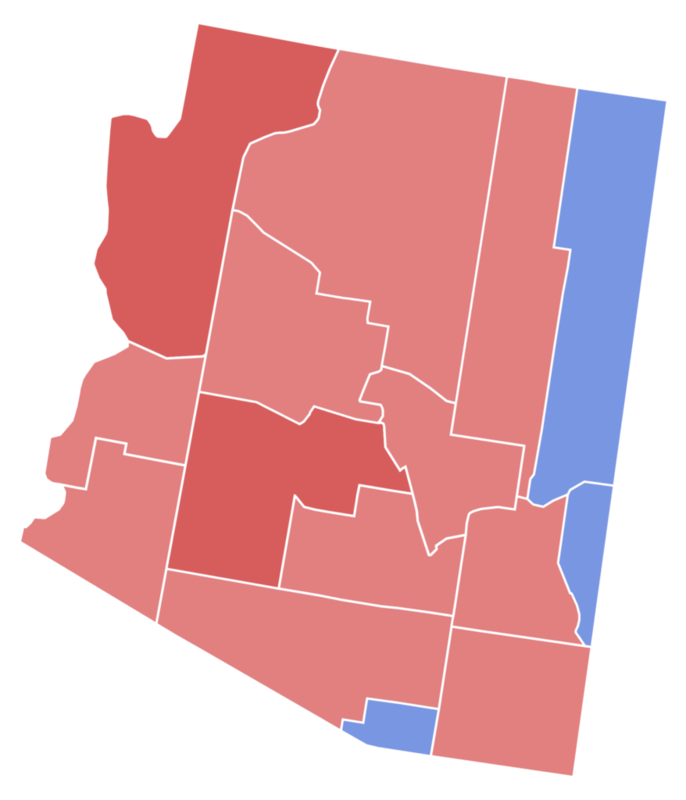 Arizona has changed, it can no longer be called a red state. The groundswell is only growing stronger. As long as Democrats continue to run on the issues and not allow Republicans to dominate the narrative, they will continue to attract voters in that “other” category. Voters in Arizona collectively said, “Enough of the divisiveness.” People here send candidates to office to enact legislation for the benefit of the general health, safety and welfare of the people. That is the fiduciary responsibility of elected federal and state officials. Arizona politics are waking up to the realities of a diversity in the state’s population. Republicans do not like it. They may find 2020 to be a nightmare.